Sales activity in the Perth metro area increased significantly in February. REIWA President Hayden Groves said the market had enjoyed a healthy rebound following the Christmas and New Year dip. “reiwa.com data shows sales activity in Perth lifted 16 per cent over the month and five per cent when compared to November 2015. “We’ve also seen that weekly sales over the last three weeks are higher than they were at the same time last year. While it’s too early to call this a trend it’s a good indicator that mobility in the market is beginning to improve,” Mr Groves said. At a sub-regional level, the Central sub-region had the strongest increase in sales activity over the month lifting a healthy 37 per cent, followed by the North West sub-region with a 24 per cent lift. “Baldivis in the South West sub-region and Canning Vale in the South East sub-region were the top selling suburbs in February, followed by Scarborough in the Central sub-region,” Mr Groves said. Perth’s median house price etched back 1.1 per cent in the three months to February, coming in at $529,000. Mr Groves said there had been a three per cent increase in listings stock in February which wasn’t surprising as vendors traditionally returned to the market at the start of the year. “This is a marginal increase given the time of year, but it’s significant to note that listings are now eight per cent lower than they were in November which suggests this could be the early stages of a correction in a market of prolonged higher than average stock levels,” Mr Groves said. Perth’s overall median rent price held firm at $400 per week in the three months to February 2016. In terms of houses and units, Mr Groves said the median price for both was unchanged over the month at $400 and $380 per week respectively, but each had dipped $10 per week when compared to November 2015. “While tenants are still in a good position to secure a competitively priced lease in Perth, it’s encouraging for investors that rent prices are appearing to steady in 2016,” Mr Groves said. Rental listings in the Perth metro area declined three per cent in February but remain above the long term average. This week overall reported sales in Perth lifted four per cent to record 703 sales, from 678 sales last week. This lift can be attributed to increases in unit and land sales by 19 per cent and 22 per cent respectively. House sales volumes declined two per cent. The total number of properties listed for sale in the Perth metro area decreased by one per cent over the week, dropping to 15,170 from 15,375. This figure is three per cent higher than four weeks ago and 13 per cent higher than the same time last year. In Perth’s rental market REIWA members reported that the total number of properties available for rent remained stable over the week at 9,779, producing an unchanged level in percentage terms. The Men’s Shed are planning and exhibition of toys and other items made by members at The Shops on November 28th followed by an Open day on Thank a Volunteer day on December 5th, at 4 Transit Way Ellenbrook (near the Community Garden) at which products and tools will be offered for sale, tours of the workshops offered, and there will be a sausage sizzle on site. This event will start at 10.00am and run until 3.00pm. ELLENBROOK is on track to have WA’s smallest green title lots at just 80sq m.
The WA Planning Commission has approved LWP Property Group’s amended development plan to create smaller lots near the Ellenbrook town centre. This means a reduction of a third from the previous minimum green title lot size of 120sq m.
LWP has now applied to the City of Swan to progress the subdivision plan for the area and expects an approval next year. At this point, LWP will be able to create the lots and construction of the two to three-storey homes will follow. The final hurdle will be getting the development application for the buildings through the City of Swan. When the council voted on the density increase in July, the proposal passed with eight out of 13 councillors voting in favour. But some of those were eager to look over the final details when it returned to them at the development application stage. Only eight lots will be 80sqm and two will be 89sqm out of the 290 dwellings planned in Ellenbrook’s Reveley precinct. Project manager Megan Buckland said the proposed new homes were aimed at home buyers who wanted the convenience of town centre living without the cost of strata fees. “The concept is to create an attractive two-bedroom home with the look and feel of a two-storey terrace inclusive of lock-up garages,” she said. 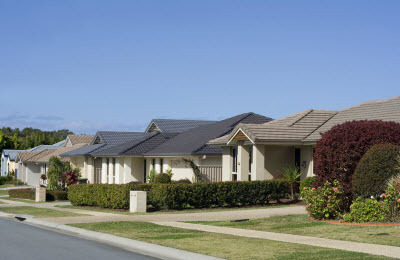 The lot and concept house designs were prepared after study tours of development projects in Queensland and South Australia, where small lot housing has already been built. RobertsDay town planning director Tim Trefry said the tours were invaluable in determining the most appropriate lot dimensions and house layouts for Ellenbrook. “The 80sqm lot is part of a range of urban lot and housing types that will be available in the Ellenbrook town centre,” he said. Swan Mayor Mick Wainwright said the council would determine how the small-lot trial would be assessed when it returned to planning officers. “We’ll see what happens during that trial and see what the results are,” he said. There is always something on in Ellenbrook and surrounding areas and now that the weather has warmed up there is even more! This looks like a great event for the whole family. Do you have a business that may be suited to having a stall at the Ellenbrook Mega Christmas Market. If so applications are open now. Extracted from Ellenbrook Advocate Wednesday October 7, 2015. By Joel Kelly. PLANS to upgrade and extend Henley Brook Avenue to Reid Highway are well advanced and construction is expected to start within two years. A map of the proposed Henley Brook Avenue extension. The project aims to relieve congestion issues on West Swan Road, where traffic jams regularly extend several kilometres from the Reid Highway intersection during peak hour. Once the four-lane Henley Brook Avenue extension is complete, West Swan Road will become a dedicated tourist and local traffic route. The City of Swan also proposes West Swan Road be closed north of Gnangara Road. This is set to be complemented by the Perth-Darwin Highway, which is planned to divert heavy traffic away from Great Northern Highway – the Swan Valley’s other major tourism route. A preliminary cost estimate based on the concept design is $36 million, split between developer contributions and City funding. The plan has created divisions between candidates in the City of Swan’s Swan Valley/Gidgegannup ward election over the approach to reducing traffic. Mayor Charlie Zannino is pushing for the four-lane upgrade of Henley Brook Avenue, while candidate Rod Henderson believes Lord Street should be upgraded to four lanes first, followed by a different method of extending Henley Brook Avenue. Mr Henderson said he supported the eventual extension of Henley Brook Avenue to Youle-Dean Road so it could connect to Lord Street. “There’s definitely a need to get traffic off West Swan Road and currently Lord Street is where most of the traffic goes, so it makes sense to upgrade that first,” he said. Mr Henderson claimed developers in the area would only fund a two-lane extension, meaning City of Swan would be out of pocket. But Cr Zannino said the relevant approvals had been finalised and anticipated construction would start in 12-24 months. “Both Henley Brook Avenue and Lord Street will carry the same amount of traffic in the future due to the amount of development flagged in the area,” he said. Land acquisition will be required to complete the Henley Brook Avenue project, many of the properties are already owned by the City or the State Government. Swan chief executive Mike Foley said the City was preparing detailed plans and would speak to affected landowners “in due course”. Mr Foley said no decision had been made on where the project will start first. “There are a number of factors to be taken into account such as the availability of funding, service locations, and land acquisition before the City can determine which section will be constructed first,” he said. The Advocate contacted Swan Valley/Gidgegannup ward candidate Andrew Kiely but he did not respond before deadline. ANOTHER Marvelous Marvel Movie – indoor theatre with outdoor and indoor pre-show entertainment. Snacks, popcorn, and drinks available – movie ticket gets you a free kids pizza at CRUST GOURMET. In the four weeks to September 7 local property sales are at 106 across land, units and houses. This represents a lift of 3 per cent over this period. Compared to the same time last year, sales have increased by 26 per cent. In the overall market sales are up 8 per cent for the four week period. Ellenbrook tops the list for the highest number of sales at 36. Properties available for sale have increased by 18 per cent over the last four weeks and are 49 per cent higher than the same time last year. Total listings in the Perth Metro Region are up 3 per cent in the four weeks but remain 36 per cent above the same time last year. The average time to sell in the local area has increased for the 3 months to August 2015 by 20 days to 84 days from 64 days at the same time last year.